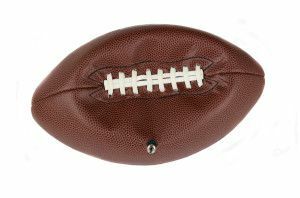 Since I am married most of the year to a Football junky, I could not help but be drawn into the recent deflate-gate drama in which the NFL game-day footballs Tom Brady used in the Patriots game to defeat Baltimore, were discovered to have been deflated after a critical win. Sure, my husband was super excited I wanted to know more about the allegations, but the reality was that I really just wanted to employ the new weapon I learned at a recent AOWI (Association of Workplace Investigators) conference. The keynote speaker was Michael Floyd, author of the New York Times bestseller, Spy the Lie. Mr. Floyd, a former CIA officer, taught us how to detect deception when we are conducting investigations of employees in our own practices. After dispelling our preconceived misconceptions that lack of eye contact, nervousness of the witness and closed posture were even relevant, he taught us how to assess credibility, within the first five seconds in which the respondent answers the first question. So What Deceptive Behaviors are We on the Lookout For In Assessing Credibility? Persuasion: convincing statements rather than conveying information, such as "I would never steal that money because my job is too important to me.” Look for repeat statements, such as, “Because, as I said before…;” invoking religious, such as “God as my witness,” “I swear to God;” using qualifiers like, “candidly, truthfully, frankly, to tell you the truth;” or too detailed responses that are way beyond the scope of the question. Aggression: where personal stakes are high, the respondent will attack the interviewer, third parties and the situation to deflect. Responses such as, “Why would you ask me that? ; showing an inappropriate level of concern, such as, “Why do you think that’s important?” an inappropriate smile or laugh, such as, when Scott Peterson was asked if he killed his wife Lacey, he responded with an overly detailed response all with an inappropriate smile on his pretty-boy face which was the nail in his coffin, Floyd explained to us. Manipulation: asking the questioner to repeat the question to buy time; answer with a question that is disconnected or unrelated to what is even being asked to divert; look for non-answers, word-smithing when you give the impression that the respondent does not understand the question, such as when Bill Clinton at his infamous deposition about Monica Lewinsky asked the attorney the definition of “is” and “sexual relations;” look for overly polite behavior and pauses that feel too long. Reaction: look for verbal and non-verbal behavior such as hiding or covering one’s mouth or eyes; clearing the throat, swallowing, coughing; pulling, biting, or licking lips; look at physical actions such as, the feet on the floor bobbing, grooming gestures, hands to face/ears, a sudden itching sensation overcomes the respondent. Did Tom Brady Pass the “Spy the Lie” Test? Brady’s self-righteous comments where he tried to be persuasive were text book violations. “I would not do anything to break the rules. I respect the league.” This was then followed by the ultimate qualifier, “I also don’t know everything.” When pushed, he fell back on “Like I said, I was surprised as all of you when I heard about it for the first time on Monday morning.” When asked about his statement years ago about liking deflated balls, he fell to pieces admitting (with a smirk on his face), “I remember I said that" and then evasively stuck to the, “I like it [the football] at 12.5," which was followed by “I would never do anything outside the rules of play." As for aggression, Brady demonstrated Scott Peterson’s inappropriate smile repeatedly. When asked if he was a cheater, he smiled and responded, “I don’t believe so. It’s very unlikely anyone will die as a result of deflate-gate, and he actually referred to Isis! When asked if he had violated this rule and what little kids would think of their hero had he done this before, he reiterated that he doesn’t think twice about the football once it is approved, he was trapped in a corner. All he could do was to say that everyone has an opinion and declare again that he has no knowledge of any wrongdoing, qualified by, but I just don’t know everything. Then, when asked if he himself did any investigation when he learned of the deflated balls last Monday, he responded with the classic, “That’s a great question. There are others who have more knowledge than me and having to focus on the upcoming super bowl...." He lamely attempted to convince the world that he has questions too, but he had to focus on the job at hand, which did not sit well with the media. Finally, when asked if he felt someone should be held accountable, he employed every marker when responding that it was not his job and we can’t go back in the past. And What about Coach Bill Belichick? He goes on like Brady to draw on his forty years of coaching that he learned more in the last three days about the preparation of the game ball process than he has ever known before. Belichick employs persuasion by sharing his hard-core philosophy that he makes his players in practice use footballs that are cold, slippery and in the worst condition so that they never use it as an excuse and to provide “no sympathy on the subject.” Yet, in the second press conference, he then clarified it was easy to feel texture differences but not pressure. By the end of the questioning, Belichick simply shut down reiterating, “no explanation… completely and totally unaware… can’t comment on the league’s investigation…. I told you what I know.” Obviously aware that his evasive, aggressive demeanor was not shutting down the controversy, his second press conference was even worse with the message to the media, leave me alone, I’m not an expert on football pressure, not a scientist, and, even to go so far, as saying, that he was not like Marisa Tomei was when it came to cars in the famous movie, My Cousin Vinny, when it comes to football pressure. What Can We Take-Away from Deflate-Gate? Does it really matter when an issue arises whether the accused is a famous quarterback, a rank-and-file employee, or your fourteen year old teenager? Nope. Credibility is credibility. The fact that Brady had publicly stated he likes deflated footballs and Belichick has been caught red-handed lying before makes it virtually impossible for them to save themselves. If you haven’t seen it already, Saturday Night Live spoofed their press conferences this past weekend.